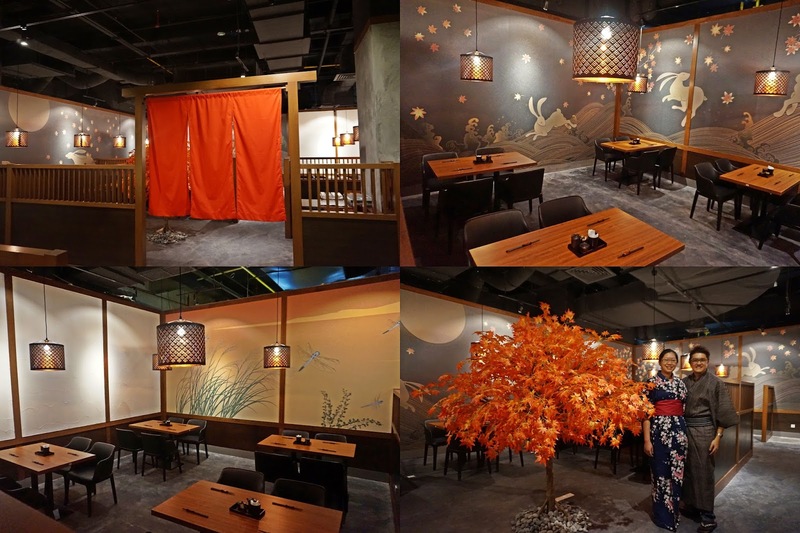 Aragan Yokocho Japanese Restaurant, the first and the largest restaurant in Asia opened on 13 January 2017 at Quill City Mall (LG Floor). 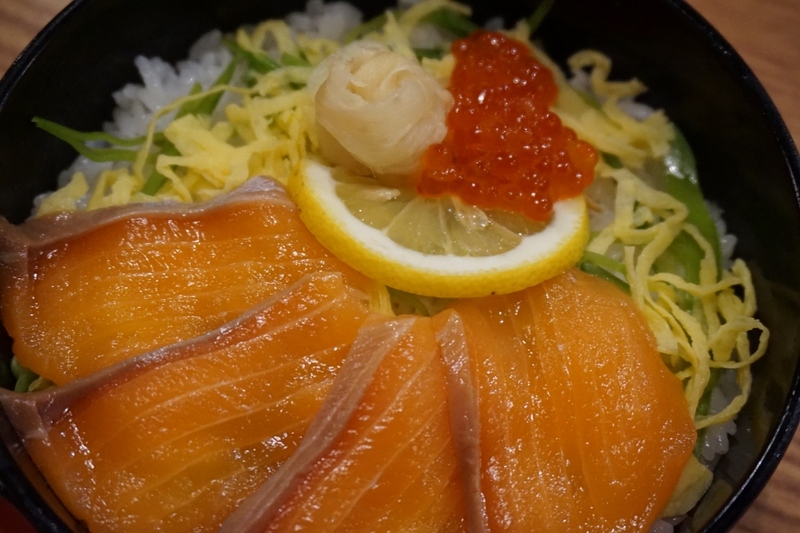 Fresh seafood flown from every district of Japan weekly to promote a truly authentic Japanese dining experience. 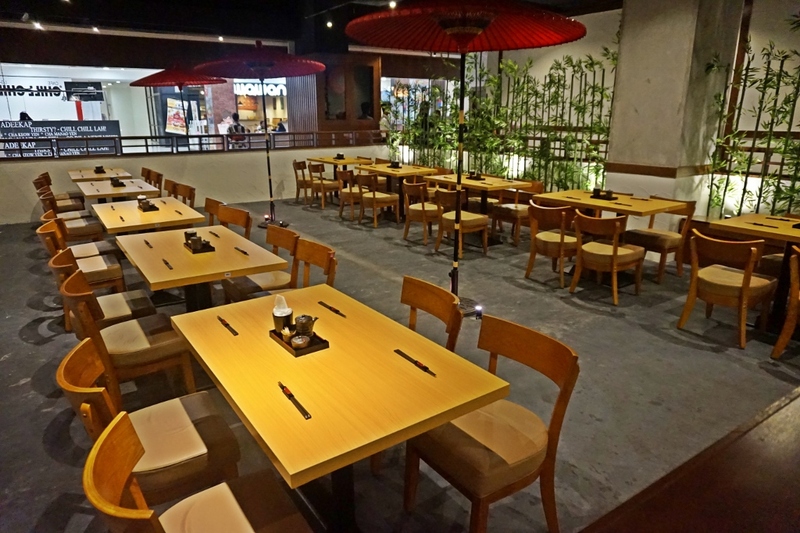 Aragan Yokocho restaurant is 18,848 sq.ft. and they are special because they have four season themed concept : Spring, Summer, Autumn and Winter. Yokocho means small street. 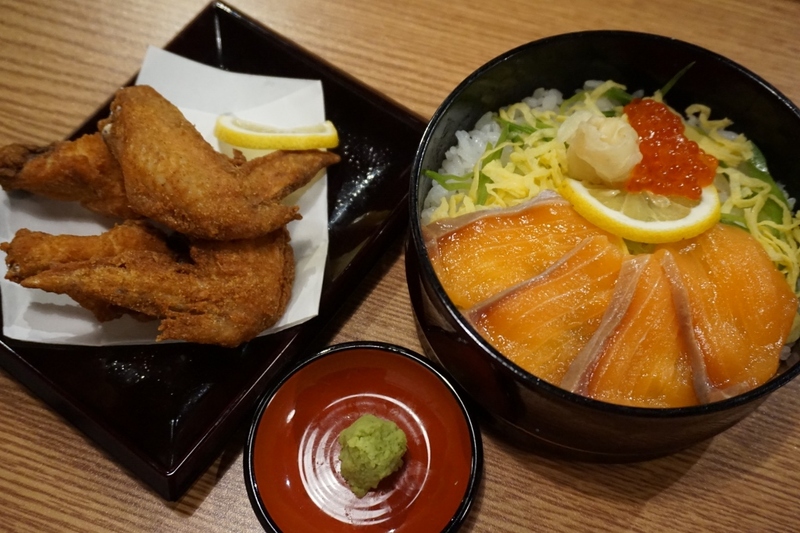 There are many street stalls in Japan and they want to bring their culture here. 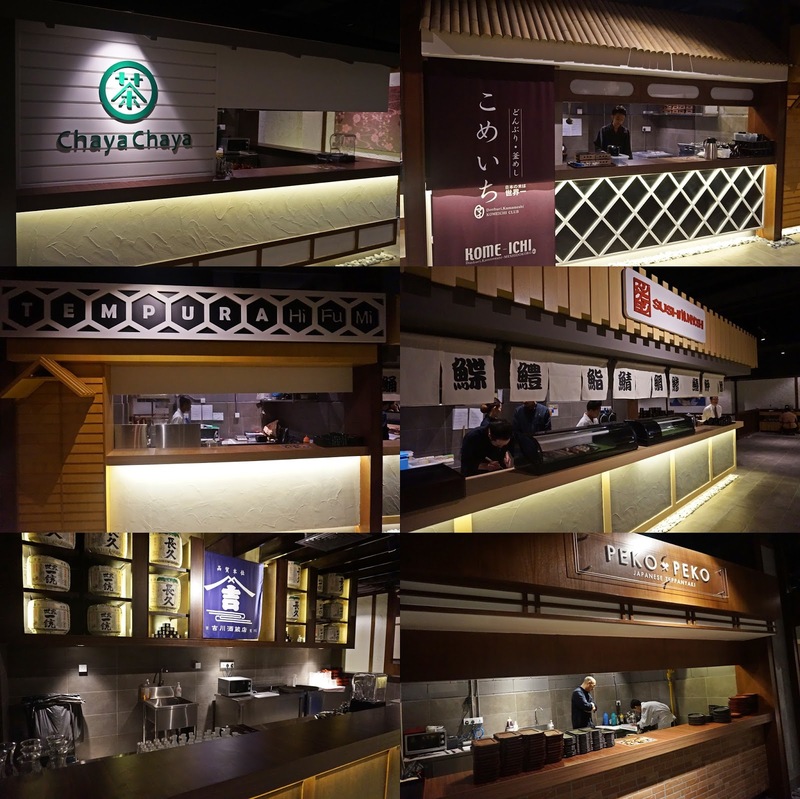 When I look inside it does looks like a food court, but the difference is each section is actually a cooking station lead by individual chef preparing different kinds of food. 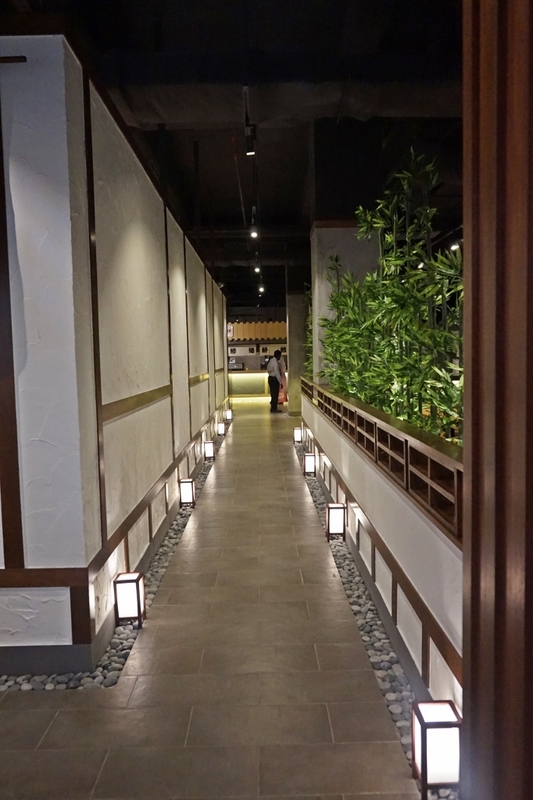 Four Seasons Theme Japanese Restaurant that are huge and spacious. Custom made furniture that provides comfort and relaxing ambiance to customers. You can choose where to sit, but each section has a different feel. 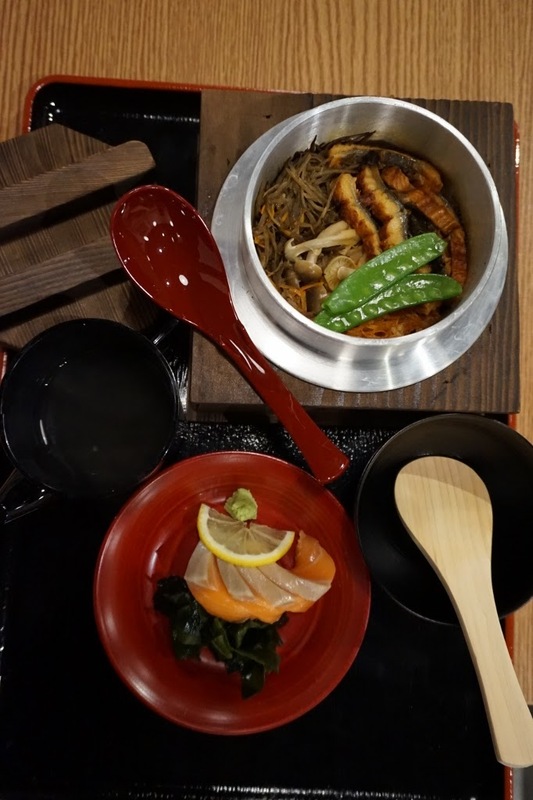 Aragan Yokocho will introduce four unique seasons concept, rotating their menu based on produce found during the spring, summer, autumn and winter months in Japan. Even the portrait at every table in each section represent the seasons feel. How about choosing the Winter season ? 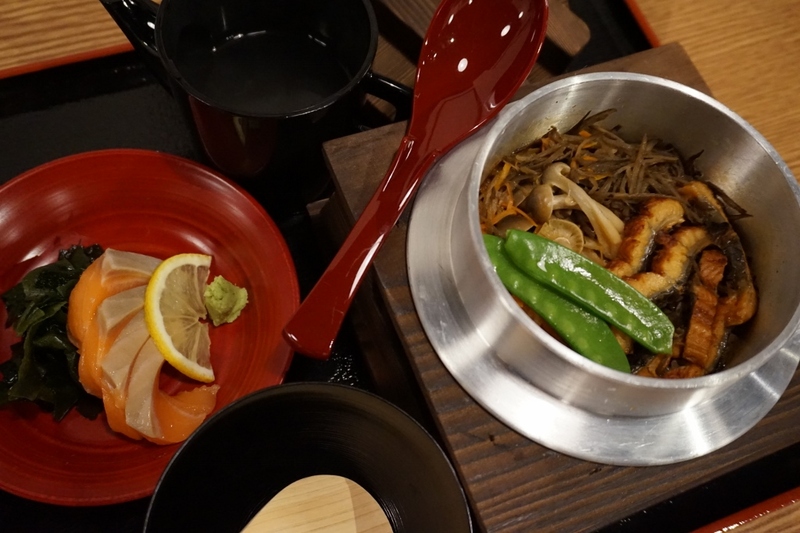 Aragan Yokocho have 10 food stalls serving up all fresh Japanese food. 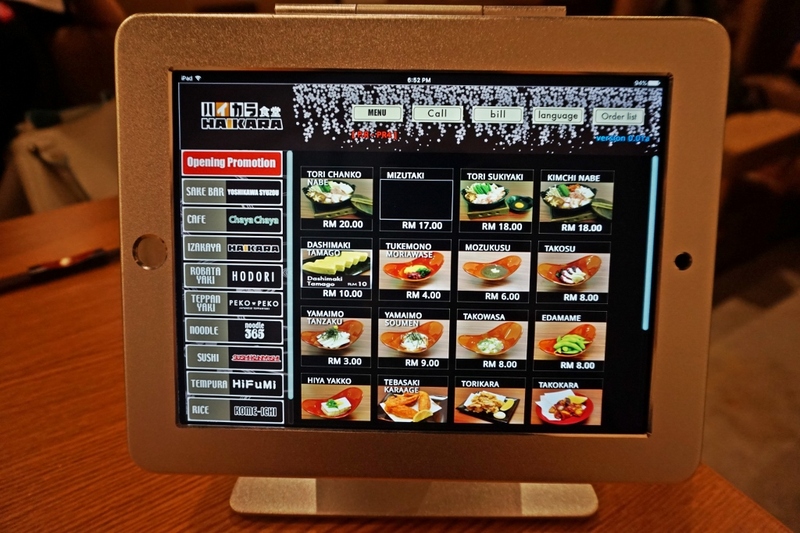 They have teppanyaki section, sushi counter, Sake , hotpots, noodles, yakitori, rice, tempura, desserts counter and many more. Open concept stalls that you can watch them prepare the food. 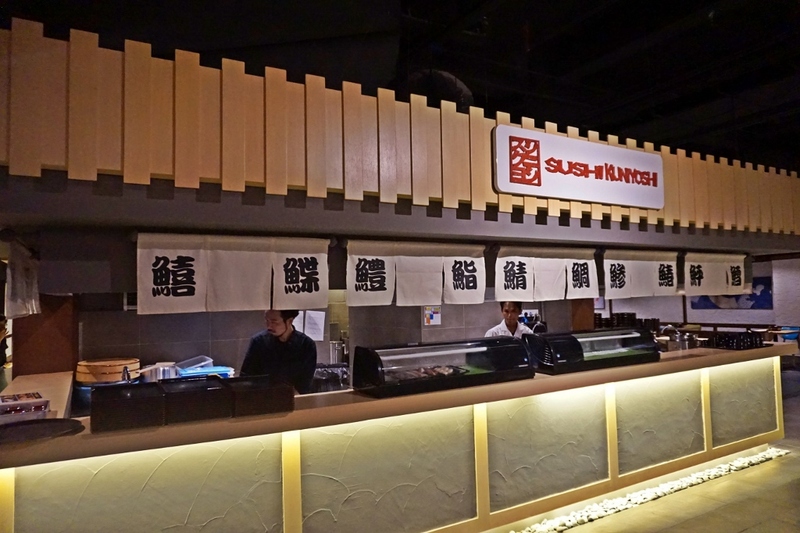 We are delighted by over 200 offerings from their extensive menu at reasonable price. Just click and order. The food will be served on your table. Sushi Kuniyoshi’s Nigiri Moriawase - RM38 . This beautiful platter comes with 7 types of fresh Nigiri. Highly Recommended - Syouyu Hiyashi Chuka (RM18), Cold noodle serving with lots of cucumber, bean sprouts and chicken mix in a sweet sauce. Chewy noodles and I really love the taste! 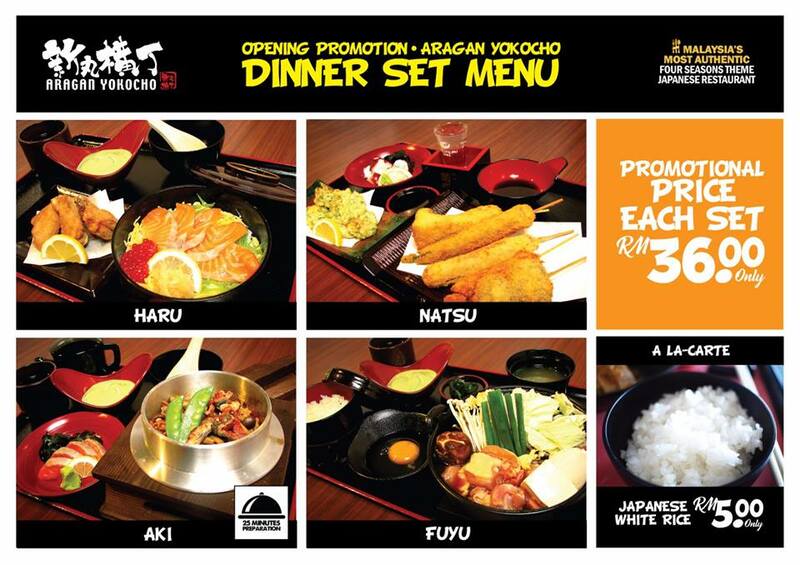 Haru Set Dinner RM 36 - Fresh salmon serving with Japanese rice and crispy chicken wing. 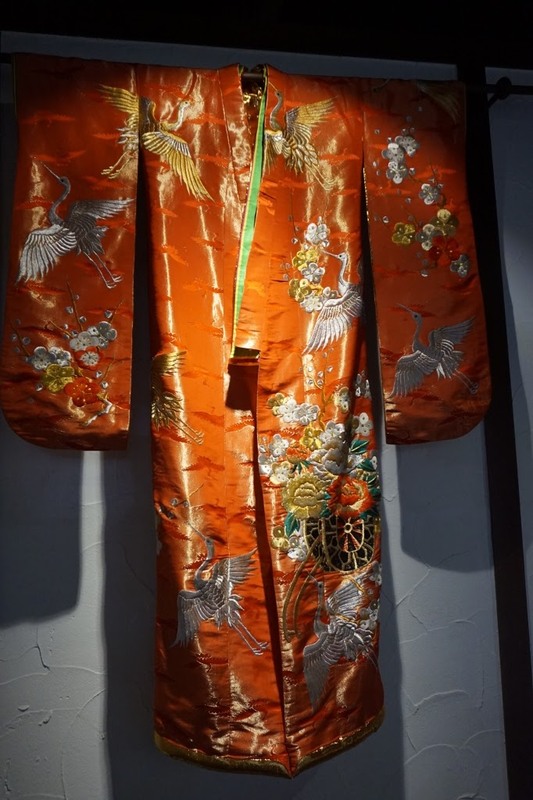 Customers who dine in here can try to wear on Japanese Yukata. They have female, male and even kids size. 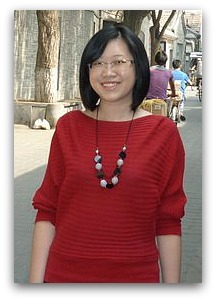 The friendly staff will guide you. So don't worry.. 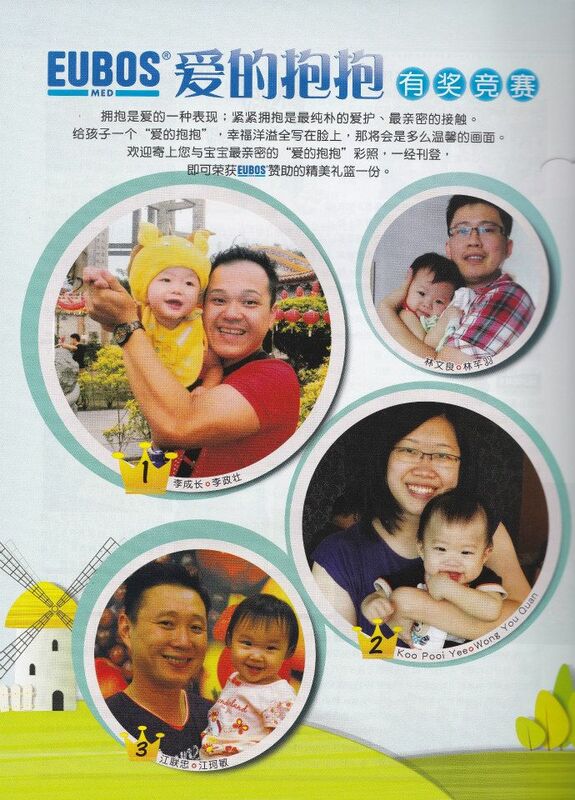 There are Promotional Price going on now. You can enjoy their lunch or dinner set. *Besides that. 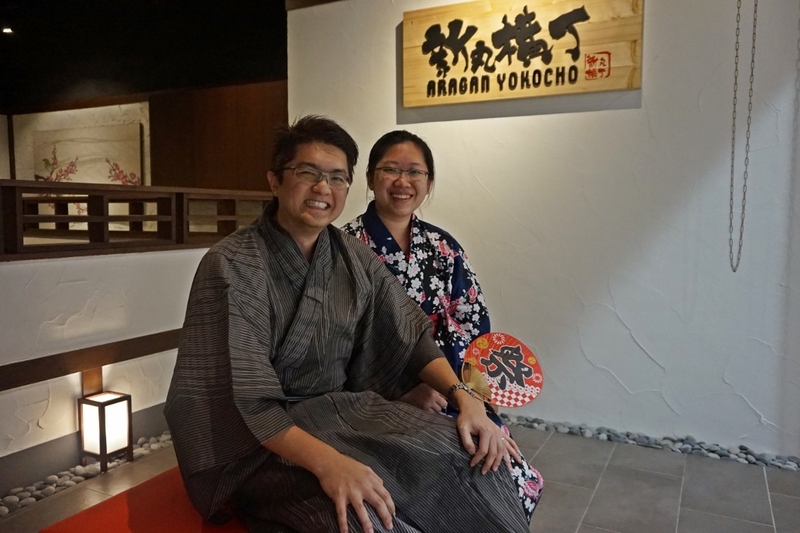 Aragan Yokocho will feature Japanese cultural events and Japanese shows in the restaurant every month for Malaysians to indulge in the rich Japanese culture and get to know it better. 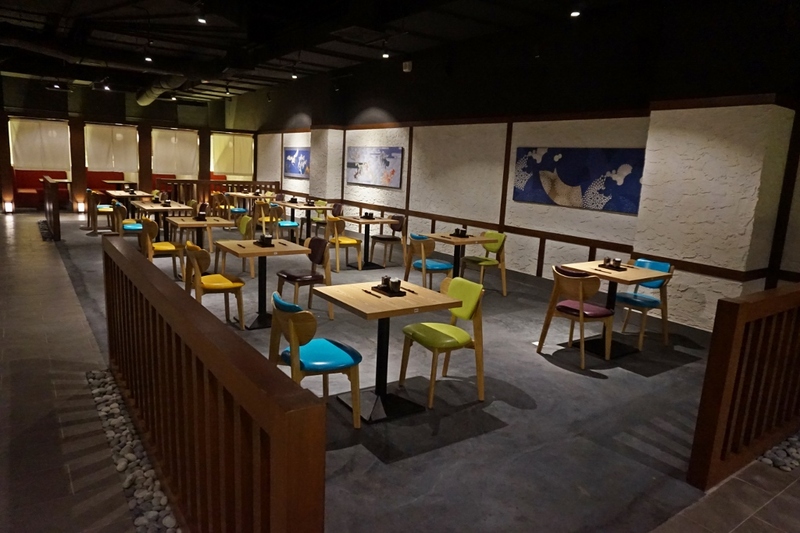 It will also have a space allocated in the restaurant to promote Japanese snacks and treats in an open market concept. 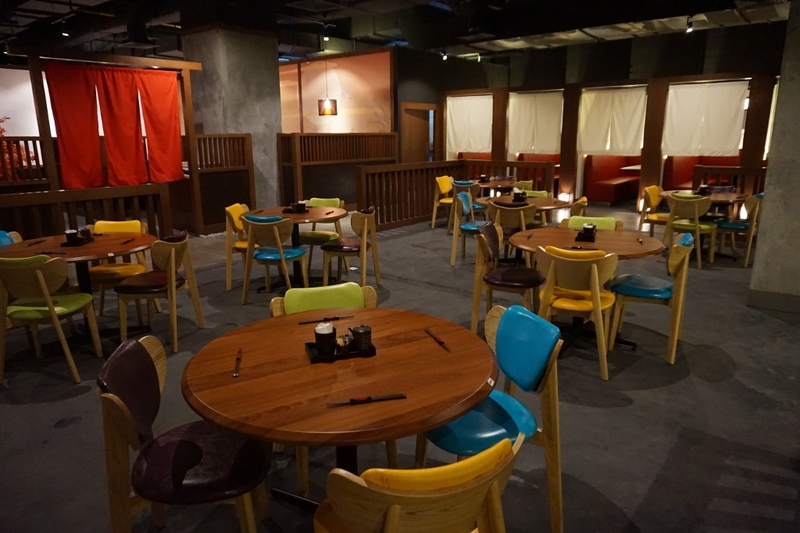 Overall, the restaurant has a nice and pleasant looking environment to dine in with plenty of seating options. 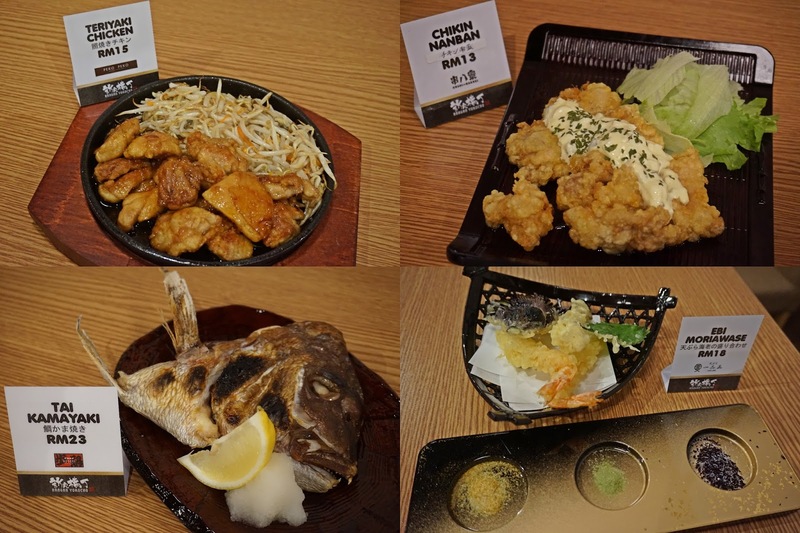 Selections of food is variety and they prepared fresh from the kitchen upon ordering. 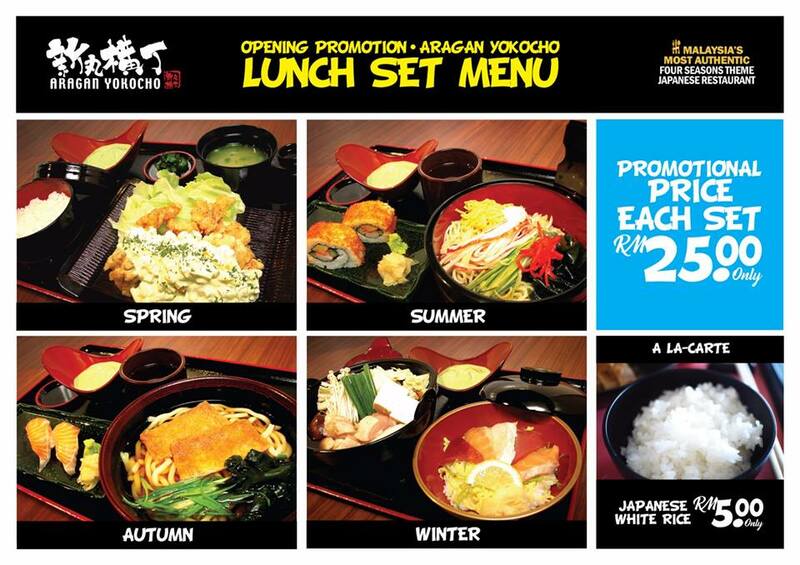 Would love to try their lunch set on my next visit soon. 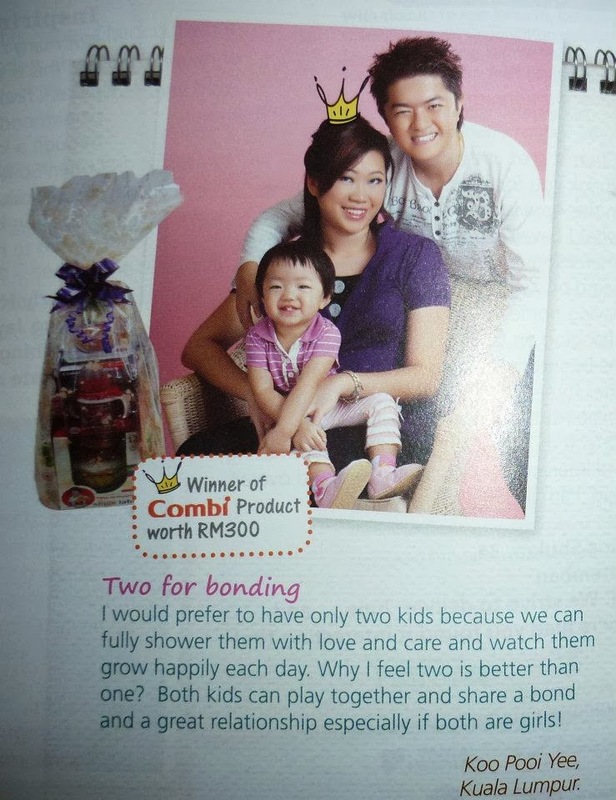 Check out their FB page for more info. The Big Question Mark "Why? Why? Why?